Bruce Seeber was born in 1933 in Metamora, Illinois. He enlisted in the Aviation Cadet Program of the U.S. Air Force on December 30, 1952, and was commissioned a 2nd Lt and awarded his pilot wings at Williams AFB, Arizona, on March 15, 1954. After completing F-86 Sabre training, Lt Seeber served as an F-86 and F-84 Thunderjet pilot with the 391st Fighter Bomber Squadron at Alexandria AFB (later redesignated England AFB), Louisiana, from June 1954 to August 1955, and then as an F-84 and F-100 Super Sabre pilot with the 390th Tactical Fighter Squadron (TFS) at England AFB from August 1955 to December 1958. He then served as an F-100 pilot with the 614th TFS at England AFB from December 1958 to January 1963, followed by a bootstrap assignment to the University of Omaha to complete his bachelor's degree from January to August 1963. Capt Seeber served with the 615th TFS at England AFB from August 1963 to February 1964, and then completed F-105 Thunderchief Combat Crew Training in April 1964. His next assignment was as an F-105 pilot with the 36th TFS at Itazuke AB, Japan, from April 1964 until he was forced to eject over North Vietnam and was taken as a Prisoner of War while on temporary duty at Takhli Royal Thai AFB, Thailand, on October 5, 1965. After spending 2,688 days in captivity, Col Seeber was released during Operation Homecoming on February 12, 1973. He was briefly hospitalized at Keesler AFB, Mississippi, and then served on the staff of Headquarters Tactical Air Command at Langley AFB, Virginia, from August 1973 until his retirement from the Air Force on June 1, 1975. 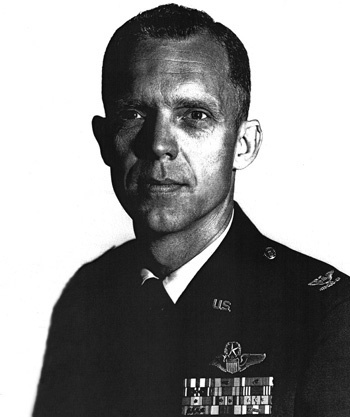 Captain Bruce G. Seeber distinguished himself by gallantry in connection with military operations against an opposing armed force over North Vietnam on 5 October 1965. On that date, Captain Seeber led a flight of F-105 Fighter-Bombers against a vital target complex deep within hostile territory. Penetrating perimeter defenses on a high speed low level approach to minimize the effectiveness of anti-aircraft fire, Captain Seeber found the primary target obscured by clouds and rain. Not to be deterred, he selected a target of opportunity and changed his tactics by climbing into the overhanging clouds, thus exposing himself to radar controlled gunfire, to position his flight for a perfect bombing pass on a key roadway. 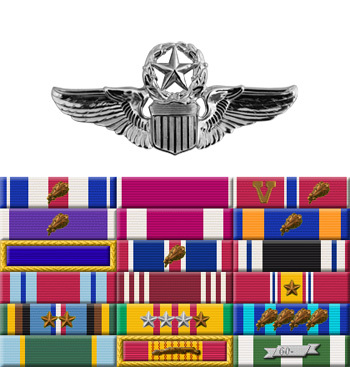 By his gallantry and devotion to duty, Captain Seeber has reflected great credit upon himself and the United States Air Force.